Note: I’ve created a two YouTube videos showing how to do this – part 1 & part 2. Yesterday I posted a guide for installing Minecraft mods on a Mac. The logical next step to this is is creating your own mods. This is not quite as easy as installing them – you will need to know how to program in Java and there are a number of steps required just to set up the environment. This guide will show you how to set up the environment on your Mac. In this tutorial I’m using macOS High Sierra. This is the tool you’ll use to create your mods. It’s an integrated development environment (IDE) written in Java and primarily used to develop Java applications. Create a new folder in your home directory called moddev (You can call it something else, if you prefer). 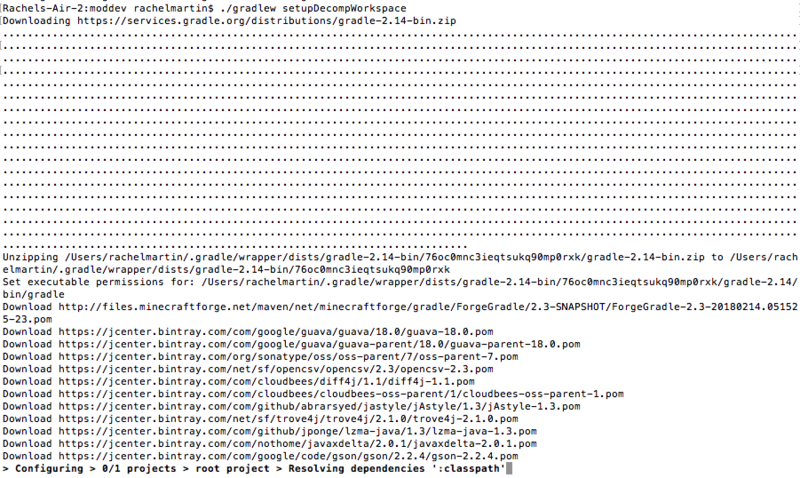 Unzip the mdk you downloaded in step 3 and copy build.gradle, gradlew.bat, gradlew, gradle to the moddev folder. This will take 5-10 minutes. 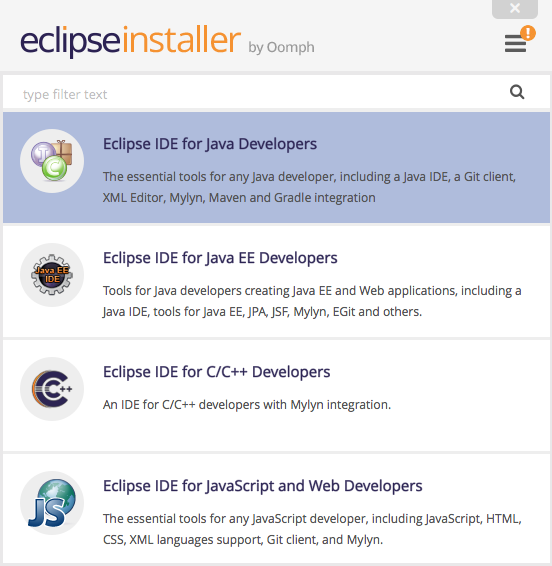 Now run ./gradlew eclipse to set up Eclipse. You’re ready to start creating your first mod! Forge have an example mod which you will have downloaded with the mdk in step 3. You’ll find it in the /src/main/java/com/example/examplemod directory. Copy the ExampleMod.java file into your new moddev directory and open it in Eclipse to have a look. Posted in Minecraft and tagged games, gaming, Java, Minecraft, mods, Tutorial. Bookmark the permalink.